Ever had a song stuck in your head? This morning I’ve had Lauren Daigle’s song, “You Say” stuck in my head. Here’s the first verse and chorus. This is exactly what I WANT to be telling myself throughout the day! But if you’ve got a song stuck in your head that’s not true, noble, or right, there is a simple solution that works for me 99% of the time. Usually, songs that get stuck in our heads are one of the last few songs we’ve heard, so replace the last few songs you’ve heard with some new songs. 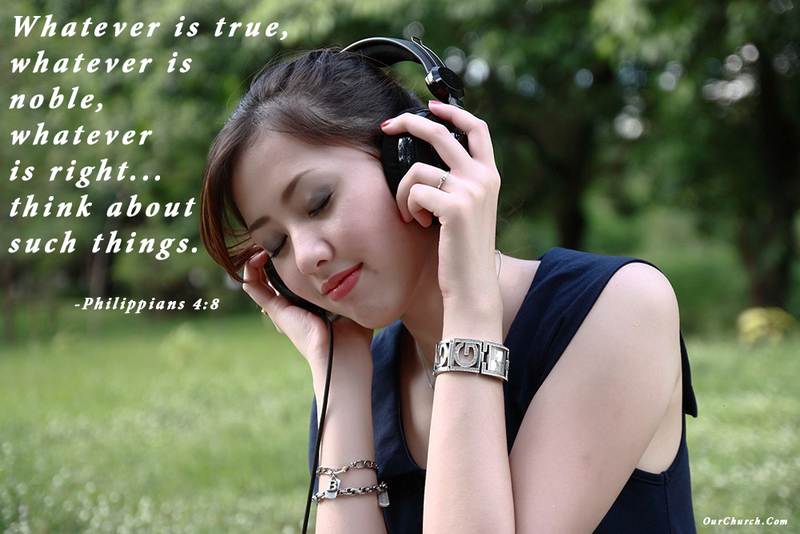 Listening to Christian music is one of the ways we can help “renew our minds” and keep us focused on the truth of God’s word. In December, OurChurch.Com announced a new partnership with The JoyFM. Through this partnership, anyone with a custom designed website built by OCC or a DIY website built with our WP-EZ Website Builder can get the JoyFM music player added to their website at no cost. Just request the player through our helpdesk, and we’ll add it for you. How important is music in your spiritual life?